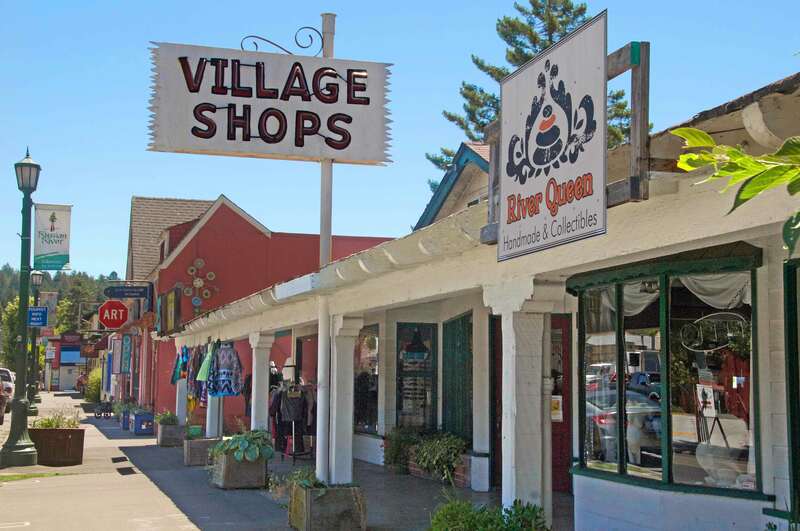 Whether you’re seeking something functional or whimsical, Guerneville’s locally owned shops have it all. The town of Guerneville is known for it’s lively Russian River fun and its meditative forest walks in Armstrong Redwoods State Natural Reserve. But did you know that you can do some serious shopping in this charming town by the river? You’ll find shops run by, and for, a thriving art community as well as some serious outdoor and sports fanatics. Basically, there is something for every shopper. Locally owned for 41 years, this store is a haven of all things quirky, fun and cool in a retro sort of way. You’ll find everything from a glimmering Sgt. 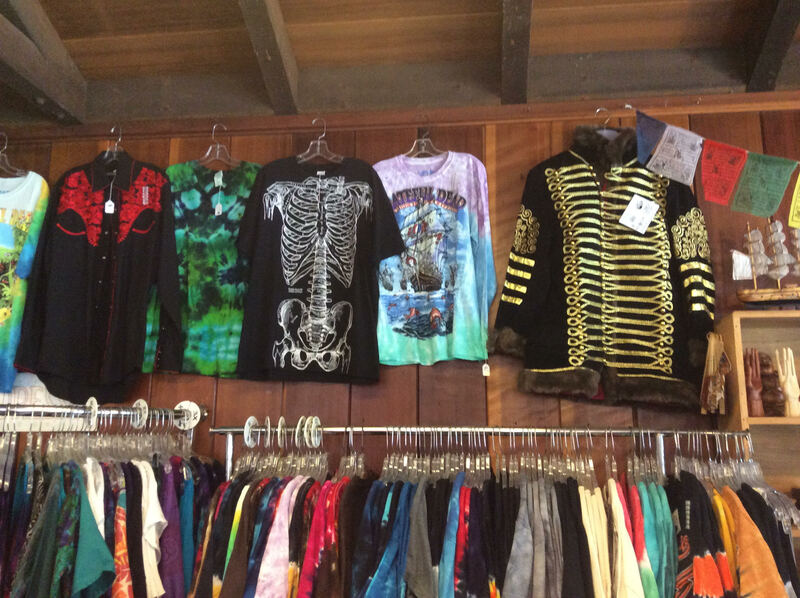 Pepper-style jacket to relaxed Grateful Dead tie-dye shirts, as well as toys, gifts, classic vintage comics, and books. Worth a visit just to step back in time to a simpler, much more colorful, way of life. 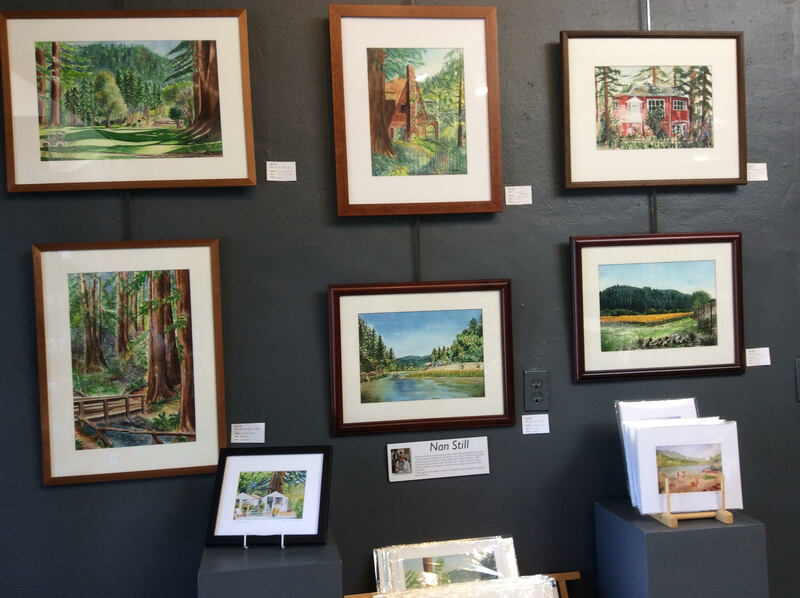 A co-op of local artists who live right in the heart of the Russian River area. Some, like potter Marge Margulies, have returned back home after participating in Smithsonian and Philadelphia Museum of Art craft shows. Others, like Sam Sirdofsky, who is famous for his rock posters and children’s book illustrations, is retired and now busy creating one-of-a-kind oil and acrylic paintings. 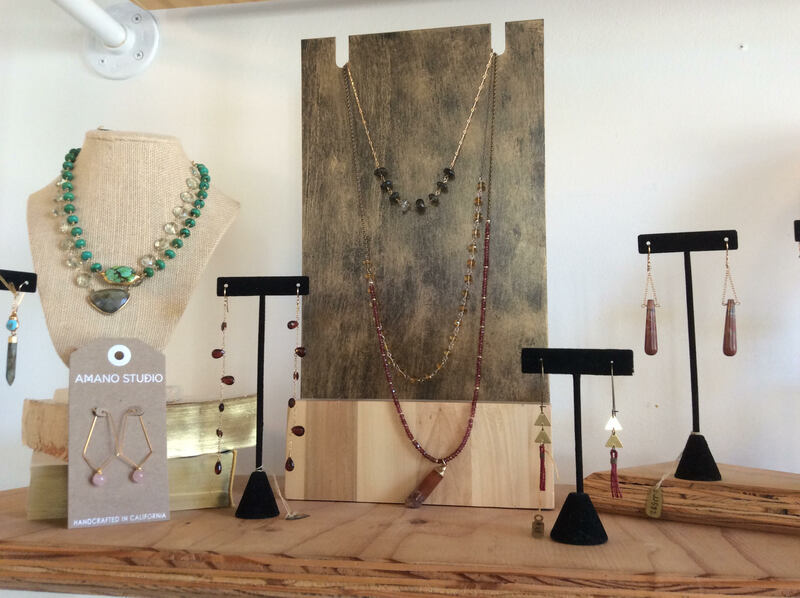 You’ll also find jewelry, photography, fiber arts, and more. 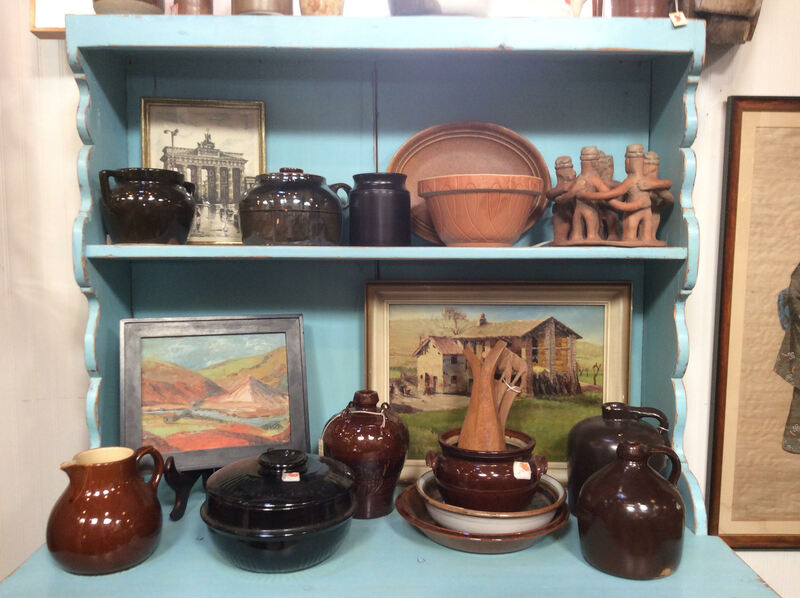 Art and antiques abound here, frequently garnered from estate sales. Both owners have degrees in art, and have curated their store with an eye toward the authentic art and craft of home items from around the world. You’ll find antique to mid-century, up-cycled to repurposed and repainted furnishings, as well as local art, vintage studio pottery, and a creative mix of items fit for a global collector’s curiosity cabinet. This classic “five & dime” has been a downtown staple since 1949, with multi-generational owners. It now features all the little things a visiting vacationer might need, from silly (including retro toys, gags, games, goofy river floaties, party supplies, and an extensive selection of vintage candy) to serious (water shoes for river exploration, seasonal outdoor clothing and stationary, as well as supplies for art, knitting, and sewing). Right next door is a decidedly different take on vacation fun. King’s has been outfitting outdoor recreational and fishing fanatics since 1953. 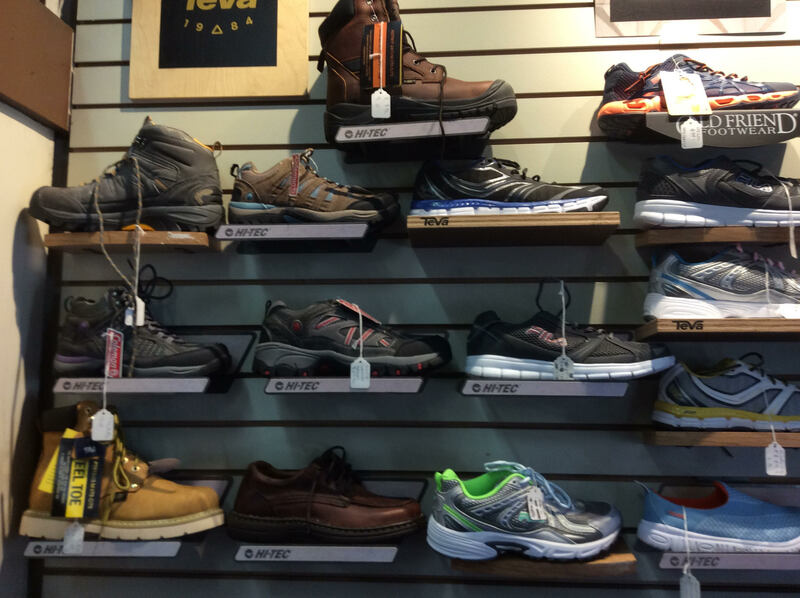 You’ll find hiking boots, river shoes, camping supplies and all manner of things for water enthusiasts including inflatable boats, crab pots, plus gear for spin and fly fishing. You can also take a guided fishing trip to catch steelhead in fall and winter, or smallmouth bass in spring to late fall. They also offer river kayak trips. Just inside the very proper 1920s Guerneville Bank Club building are temptations worth investigating. The first is immediately obvious. 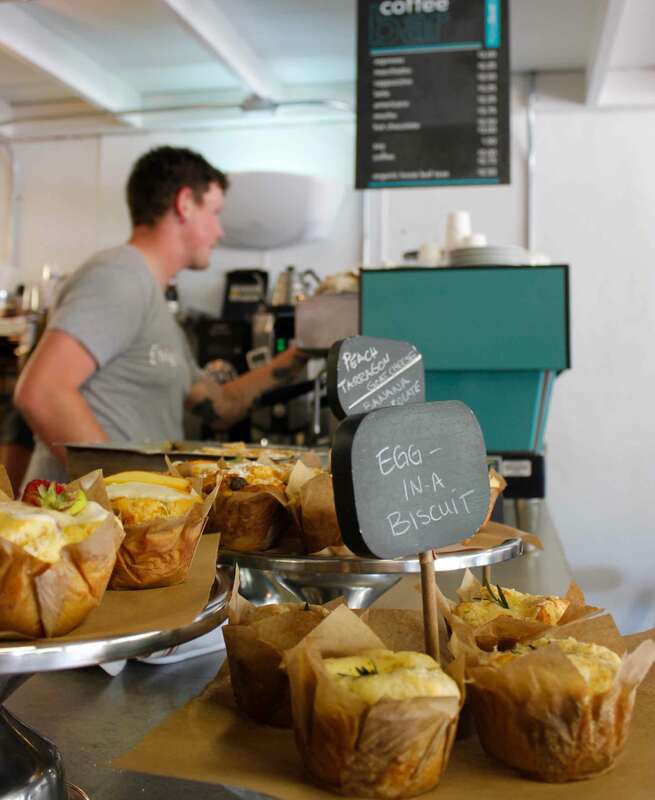 Nimble & Finn’s artisanal ice cream shares space with Chili Pies Baking Co., which serves rich, butter crust pies. So right there you have two reasons (or one, if you put the ice cream ON the pie) to stop for a visit. The other reason is to take a look at Jam Jar’s local artistry, jewelry, bath and body luxuries, and unique cards, located to the side of the lobby. You’ll find very sophisticated, one of a kind and truly beautiful gifts for yourself or someone you love. 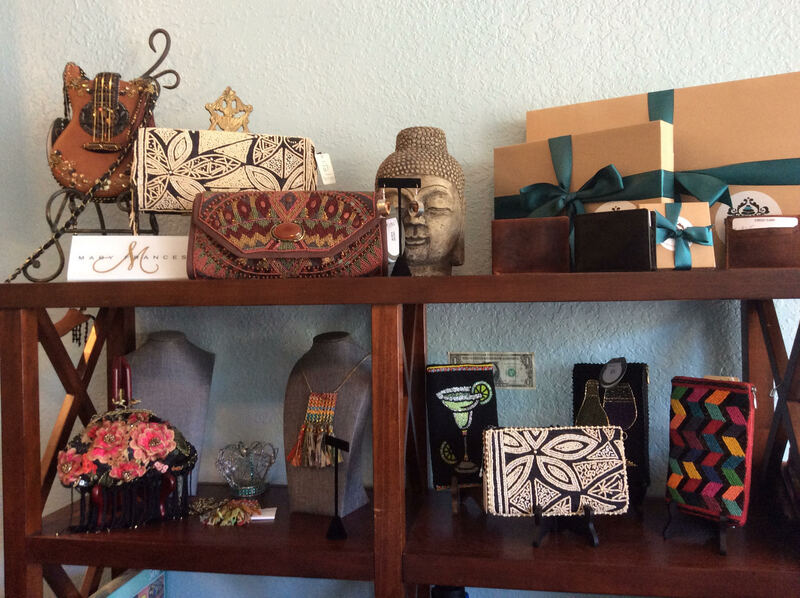 A great place to peruse an eclectic assortment of vintage estate finds, locally designed gifts, brilliantly shimmering bling for costume wear, handsomely designed furnishings from oak wine barrels, and a really nice collection of sterling silver jewelry. Oh, and don’t forget to check out the award-winning, uniquely beautiful, 3-D Lovepop cards. Worth purchasing even if you don’t know who you’ll give them to. Someone, somewhere will be deserving of a Lovepop card in the future. This shop features new clothes for men, women, and children with a special eye toward relaxed, comfortable, and simply chic designs that have been hand-picked whenever possible for their fair trade manufacturing, easy care, and use of natural fibers. The idea behind the collections is that Guerneville needed a store with moderately priced clothes that actually cover the essentials, as well as the style needs of residents and tourists alike. So you’ll find underwear for everyone, every age. A fabulous sock collection. Totes and bags crafted from used Army tents. Sunscreen clothing and cozy sweaters. The price is right, and the styles are classically modern. 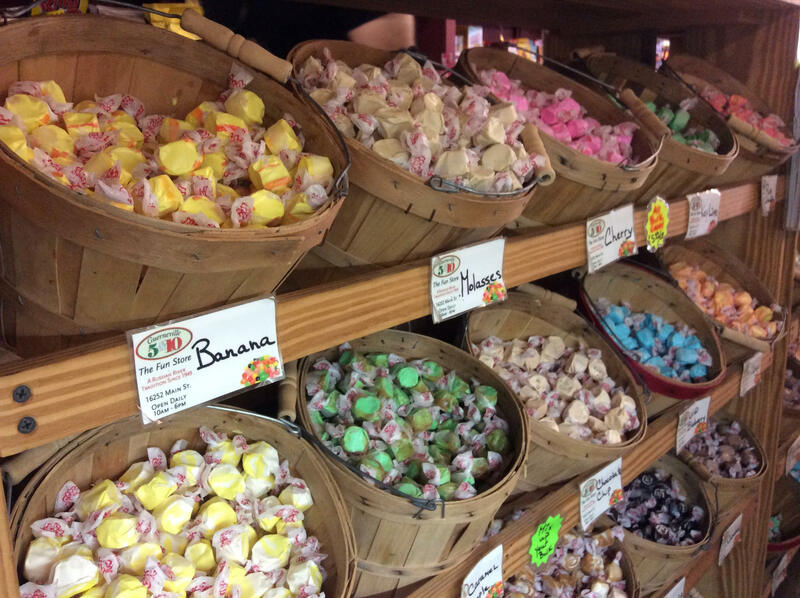 And after all the shopping you may feel like a little lunch: Big Bottom Market offers fabulous bag lunches, sandwiches and breakfast fixings … including their justly famous biscuits. Boon Eat & Drink offers fresh, seasonal cuisine made from local produce, plus local wines and micro-brews. And finally, for a quick bite, check out the Guerneville Taco Truck, usually parked in the Safeway parking lot, with fast, fresh authentic Mexican fare that gets rave reviews.